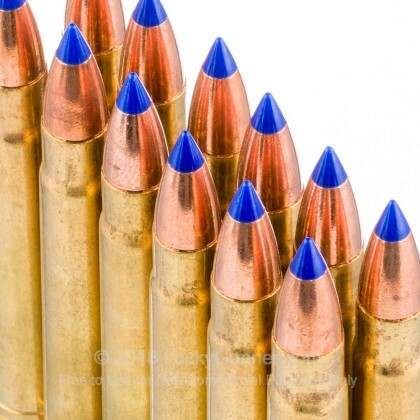 Each round fires a 250 grain version of the DPX copper hollow point at a muzzle velocity of 2,800 feet per second. 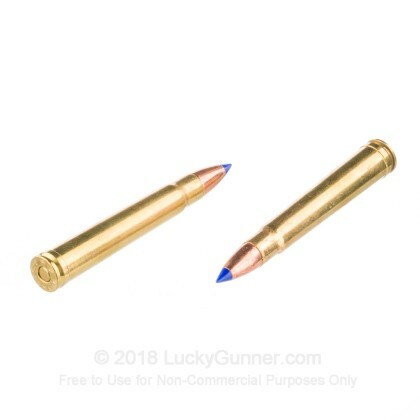 Expect good accuracy at long range and high levels of expansion and penetration that will drop most game with one well placed shot. 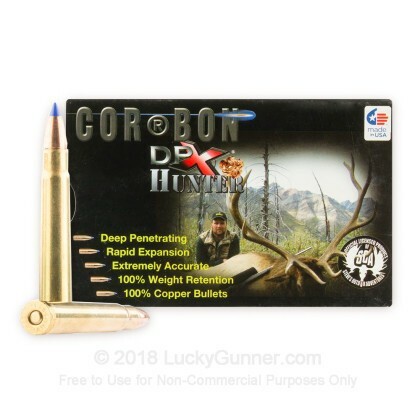 Corbon ammo is the go-to brand for many shooters who prefer powerful, high performance ammunition. 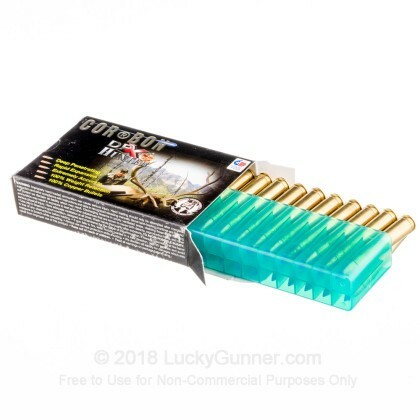 It is loaded in Sturgis, South Dakota and uses non-corrosive primers and brass cases. 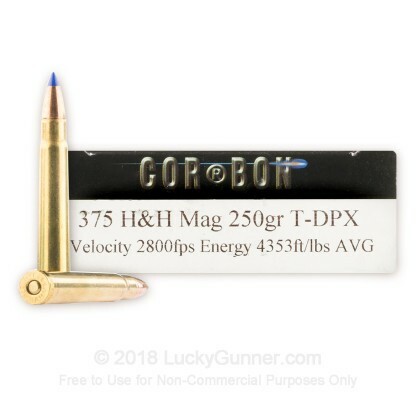 We don't have any reviews yet for this particular .375 H&H Magnum ammo from DPX Ammunition. 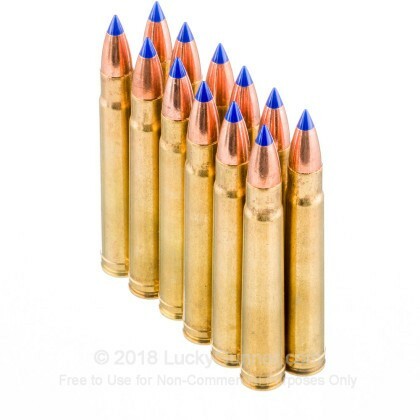 If you'd like to be the first to review this particular .375 H&H Magnum ammo from DPX Ammunition, fill out the form below.